December 22nd, 2015. 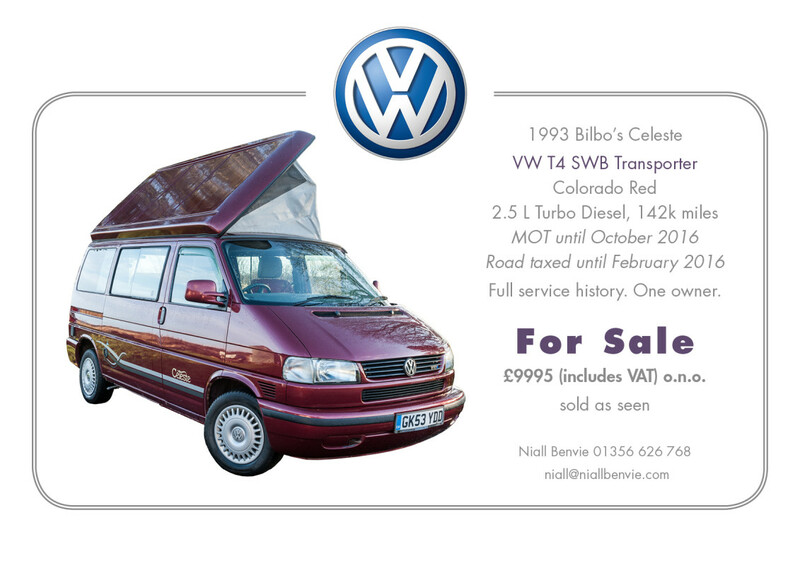 My 12 year old VW camper is up for sale and to support this I’ve made a highly detailed pdf to allow potential customers a close inspection, as well as read about its specification and service history. If you are a possible buyer – and we can negotiate a little on price, depending on demand – just drop me an email to receive the 20Mb file. UPDATE: 4th January 2016, sold on e-Bay to a gentleman in Cambridge!